A mini storytelling + public speaking eCourse adapted from Speak Your Gifts. Join Kim Coles on a journey to discover and reveal your signature story. During the course, you'll mine your story and find your jewels inside. Perhaps best known for her ﬁve-season turn as the unforgettable “Synclaire” on FOX’s ground- breaking comedy series, Living Single, Kim Coles has starred on numerous hit television programs including Frasier, Six Feet Under, In Living Color, One on One, and the uproarious TBS comedy series 10 Items Or Less as the villainous “Mercy P. Jones”. She was the co-host of the nationally syndicated daytime talk show, In the Loop with iVillage and has been a guest co-host for various shows, including The View and Good Day Live. Kim Coles is also known to reality audiences for having appeared on The Mole, VH1’s Celebrity Fit Club and Coming to the Stage, BET’s search for “the next superstar of funny.” Kim recently became the ﬁrst black female primetime game show host in history headlining BET’s inspirational game show Pay It Off! Kim served as a co-host on BET’s highly successful talk show My Black is Beautiful, an energetic, interactive and informative series that celebrated the unique and dynamic qualities of the African-American woman. 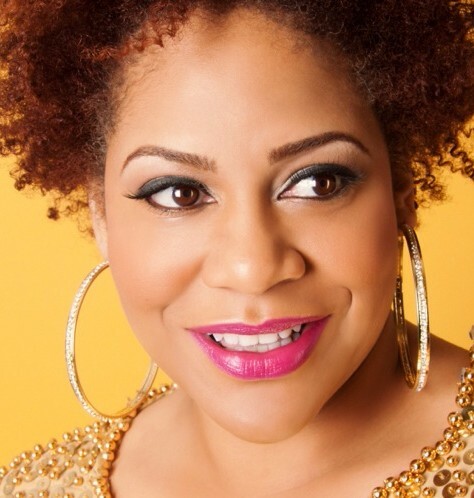 In her latest venture, Kim Coles is combining comedy, inspiration, and public speaking to empower others with her transformational online program called Speak Your Gifts. The program supports students with to discovering their own true “gifts” so that they may share them with the world. Kim Coles currently resides in Los Angeles with her Husband, Reggie Mckiver where she spreads love, laughter, and inspiration. Thank YOU and Start HERE!